Dr. Dima Kalakech believes to embrace life, you must embrace your smile. She has devoted the past 11 years creating beautiful smiles for her patients. Dr. K is a specialist in Orthodontics and Dentofacial Orthopedics. She provides excellent services and care to each and every patient in a conscientious and caring manner. Embrace Orthodontics is a family-owned and operated practice, meaning Dr. K is dedicated to not only treating the orthodontic needs of patients of all ages, but promoting great oral health care the entire family can practice at home together. 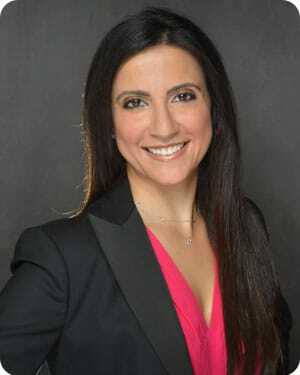 Dr. K graduated with honors from the Lebanese University School of Dental Medicine in Beirut, Lebanon, where she received her Bachelor in Dental Surgery (BDS) degree. She then attended the Bolton-Brush Growth Study Center at Case Western Reserve University in Cleveland, Ohio. She earned a Certificate of Recognition as an outstanding research assistant. She earned her Masters of Science in Orthodontics at the prestigious Saint Louis University in Missouri, while concurrently completing a Certificate in University Teaching Skills at the Reinert Center for Teaching Excellence. She then completed an optional one-year training program with three prominent Saint Louis area Orthodontists, so she could further hone her orthodontic treatment skills. She believes that learning is a lifelong endeavor, so in 2012 she completed the McLaughlin two-year postgraduate orthodontic program in San Diego, California. Dr. K is passionate about dental health education. She participated in the San Antonio Express News, Wellness Lecture series, which she discussed the latest trends in orthodontics and basic dental care. She has taught basic hygiene to young children at local preschools. She donates, yearly, an orthodontic treatment to the Kinetic Kids annual fundraiser so they can provide sports, recreational and educational programs to San Antonio children with special needs. Dr. K and her husband hold this organization and their athletes near and dear to their hearts. E.C. Davis, D.J. Ferguson, and D.F. Kalakech. A Comparison of Two Maxillary Molar Distalization Appliances. J Dent Res, Special Issue (AADR Abstracts), Abst. # 2377, March 2002. D.F. Kalakech, J.M. Palomo, and M.G. Hans. Comparison of Digital Versus Physical Records of an Orthodontic Patient. J Dent Res, Special Issue (AADR Abstracts), Abst. # 1527, March 2001. 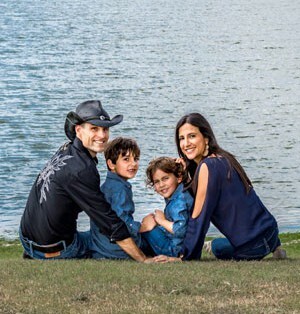 Dr. K is a resident of San Antonio, Texas, where she lives with her husband and two children. She grew up in Lebanon, where she enjoyed learning ballet, playing cards with her father and swimming at the beach. She enjoys yoga, Pilates, running with her husband, hiking, fishing with her boys, skiing with her family and cooking. Dr. K and her family never miss a chance to explore the country. She has visited 34 states and plans on visiting the rest of them. Dr. K and her family have hiked the Colorado Rockies, leaned against giant Sequoias, gazed at the grandeur of the Yosemite Valley, stuck their toes in beaches on all three coasts and enjoyed the blue skies of Texas. Dr. K without a doubt derives the most pleasure in her life by spending time with her husband Chuck and their two native sons of Texas.